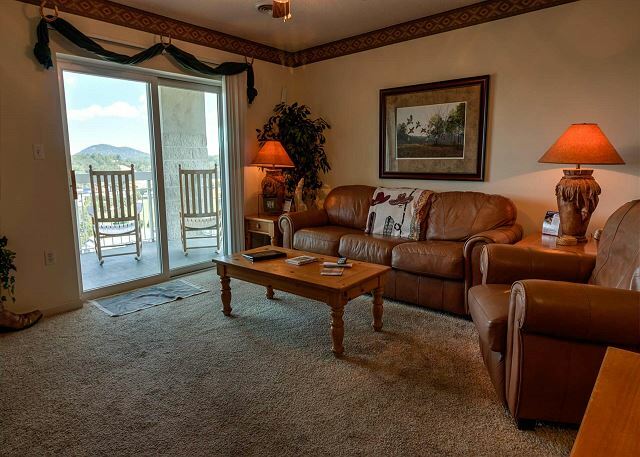 Enjoy our spacious one bedroom vacation condo that sits overlooking the city of Pigeon Forge. Offering great views of the city below, you will find you especially love this condo when the Winterfest celebrations are going on from November to February. It is also a great condo to rent if you enjoy visiting town for the annual car shows in April and September. The bedrooms offers a king size bed and the full bathroom is right down from the bedroom. The full kitchen is fully stocked if you choose to cook a meal instead of going out to a restaurant. The living room offers spaciousness and comfortable furnishing, as well as, a seasonal gas fireplace. 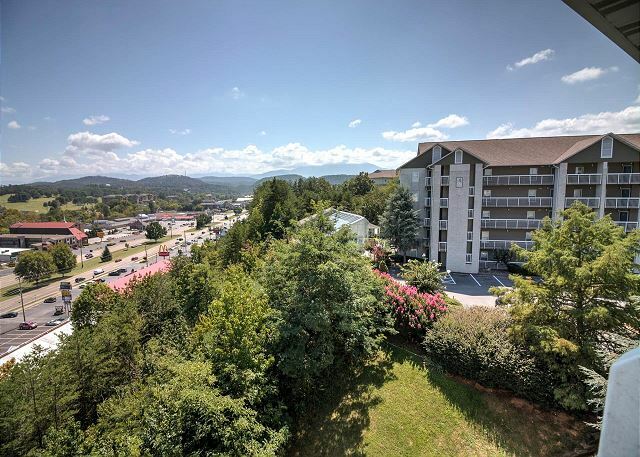 Whether you are visiting town to solely relax or you would like to go hiking in the National Park...this condo is in a great location no matter what you choose to do on your Pigeon Forge Vacation. We have stayed twice now in this particular unit and absolutely love the view from the balcony!! The unit is very clean and comfortable and we plan to stay in unit 251 again in the very near future! Thank you choosing Whispering Pines again for your spring break getaway. We are so delighted that to know that you enjoy the amazing view that condo 251 offers. We appreciate your wonderful review and welcome you back to stay with us again soon. We really enjoyed our recent stay at Whispering Pines. 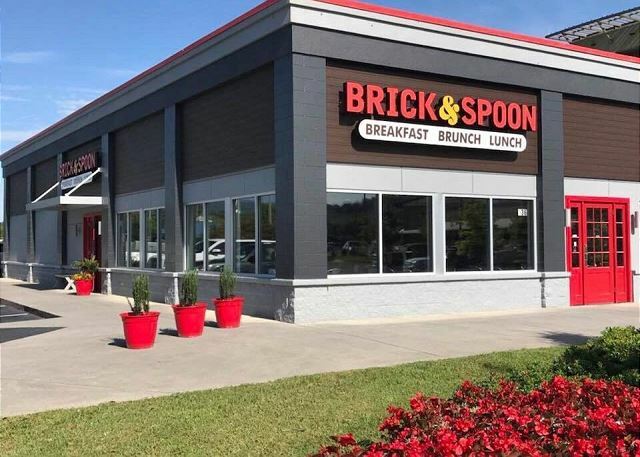 This is our "go to" place in the Pigeon Forge area. The units are lovely and so clean. The balconies are like having an extra room to enjoy. Can't wait to go back in a few months! Thank you so much for continuing to stay with us at Whispering Pines! We're happy to hear that you were able to add another great trip to your list. We truly appreciate you and your kind comments, they mean a lot to us and it sounds like we've become your "home away from home!" We can't wait to see you all again soon! This is the 3rd time we have stayed in condo 251. We have stayed in 2 other condos. For a total of 5 visits. The staff is superb and number 1 in hospitality. Everything is clean inside and out. Convenient location right off the parkway.i would highly recommend. Wow! We cannot thank you enough for your amazing comments. We are so happy to know that condo 251 has become your home away from home. We are jumping with joy regarding your comments regarding our staff being number one, thank you so much! We welcome you back to visit again real soon. 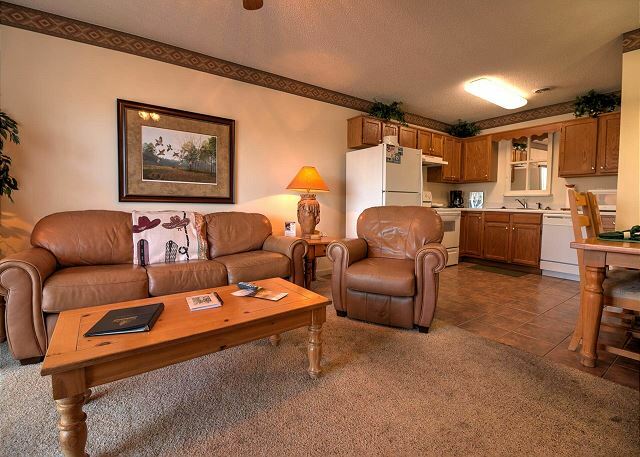 We have stayed at Whispering Pines multiple times and the units are always clean and up to date and the units are attractively decorated and make you feel at home. We greatly appreciate your patronage, your perfect review and awesome comments. It is our pleasure to have you vacation with us and we look forward to your future return visits. Thank you for starting the New Year with us at Whispering Pines Condos in Pigeon Forge. We appreciate your review and comment; glad you had a wonderful time and will visit us again. We stayed here for the week of Thanksgiving. Wanted something with a view of the street and mountains. This one was perfect for two people. Its on the corner so you have both views. The room is very nice with carpet in the bedroom only. Its been changed in the living room to hard flooring which I prefer. The bathroom was nice also and the entire room was very clean. Also very soundproof. The condo was full and we didn't hear any noise like you have in a motel. We would definitely stay here again! Thank you so much for staying with us at Whispering Pines! We can honestly say that reading this review instantly brought a smile to our face. We truly appreciate you and your kind comments regarding condo 251, they mean so much to us. The owners will love hearing that you liked the updates. You are totally right, nothing beats the views from that unit - it's like a two for one deal! We hope you had a wonderful Thanksgiving and that you enjoyed getting to see all the Christmas lights along the parkway. Thank you for your recommendation and for taking the time to write this fantastic review. We welcome you to stay with us again the next time you're visiting beautiful Pigeon Forge. This place was great. Home away from home. I would definitely stay here again. We love to hear that you have found your "Home Away From Home" with us at Whispering Pines. Thank you so much for your kind words. We look forward to your next visit. This condo was everything that the listing said it would be. Thank you so much for staying with us at Whispering Pines! 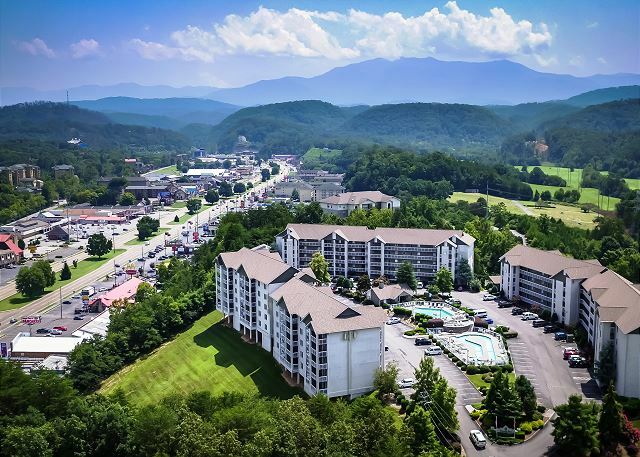 We're absolutely thrilled to hear that you had a great vacation with us here in beautiful Pigeon Forge. We appreciate you and your recommendation and we welcome you to stay with us again soon! We have stayed at Whispering Pines many times over the years and have never been disappointed; always clean, comfortable and relaxing! We love hearing that you always have had great experiences while staying with us at Whispering Pines. We cannot thank you enough for being a long time guest with us. We hope to see you again soon. Thank you so much for staying with us at Whispering Pines! We're absolutely thrilled to hear that you had a wonderful fall getaway in condo 251. We appreciate you and your recommendation and we welcome you to stay with us again the next time you're visiting beautiful Pigeon Forge! Much needed break in a very nice condo. Just didn't last long enough. Everyone was so friendly when checking in and out. Thank you so much for staying with us at Whispering Pines, we wish you could've stayed longer! We are happy to hear that you enjoyed your fall weekend with us here in beautiful Pigeon Forge. We appreciate you and your kind comments regarding our staff and condo 251, they mean so much to us. We hope you'll stay with us again very soon! Thank you so much for continuing to stay with us at Whispering Pines! We appreciate you and hope to see you again very soon! Wonderful! We are happy to hear that you enjoyed your stay in September. It is always a pleasure to having you as our guest, we hope to see you again soon. We had an amazing rental experience! Unit 251 was the best! Best view of downtown AND mountains! Will definitely book this unit again! Thank you so much for choosing Whispering Pines for your vacationing to the Smoky Mountains! It sounds like you got the best of both worlds with that view! We're so ecstatic to hear how amazing this getaway experience was for you! We welcome you back to stay with us again soon! It was wonderful;. The Condo was so comfortable and the view from the balcony each day was so peaceful. I would love to stay there again in the future. Awesome! We are so glad you enjoyed your stay and your balcony : it is so peaceful! We hope to see you on your next Pigeon Forge Vacation! Love the location! Beautiful views! Quick and easy check in! Knowledgeable staff! Will definitely be back! Thank you so much for staying with us at Whispering Pines! We greatly appreciate you and are glad to hear you had such a wonderful getaway. We do our best to make all processes run as smoothly as possible for our guests to be able to make the most out of their vacation. We want to thank you for your kind words about our staff and property. We can't wait for your next visit; we're definitely looking forward to it! We booked this unit after staying with Whispering Pines several different times. It is a top floor, 1 bedroom that overlooks both the strip & has mountain view. Very clean, well furnished. Quiet. Enjoyed sitting in the rockers & watching the sunrises in the morning coming up over the mountains & enjoyed watching the traffic on the strip at night. Would highly recommend. Whispering Pines is a favorite of ours. Nice management / staff. Never an issue. Love the coupon / extra saving benefits, pools, lazy river & free movies. Nice for a couple or family. We want to thank you so much for staying with us at Whispering Pines time and time again! We appreciate you and your loyalty. You just can't beat a vacation that sounds as lovely as how you painted it in your review. We can't express our gratitude enough for your kinds words about our property, staff, and amenities. We look forward to your next stay! Excellent location, great view,the staff was very diligent and helpful. The unit was nice and clean. I am planing to go back within the next few months! We're so glad to hear that you enjoyed your stay with us at Whispering Pines. Thank you for your kind words regarding our property and staff. That is what we are here for, to provide awesome vacations for each and everyone of our guests! We'll see you in a few months! Great! Glad you all enjoyed yourselves! Come back and see us again soon! My Mother and Sister and I needed some quality time together after the loss of my Dad. We shared memories, we laughed and cried. From booking on line to our check out our experience was top notched. I have stayed here 5 times in the last several years and I highly recommend them. We stayed at Whispering Pines. We extend our condolensces to you and family in the loss of your Dad. We are glad that you had some time together at Whispering Pines Condos in Pigeon Forge. We appreciate your review and comments and look forward to your return. This rental has an amazing view, great location, and the property is well maintained. All staff was very nice and helpful. This was our third stay at Whispering Pines but the first time in this unit. We will definitely stay in this condo again!! Thank you for your fantastic review and comments. It is our pleasure for you to stay with us and we look forward to your return to Whispering Pines Condos in Pigeon Forge, TN. Happy Belated Anniversary! Hope you will make this an annual tradition. Thank you for your visit, comment and review. We are glad that you enjoyed the view and the quietness of the atmosphere. Absolutely a wonderful resort. Best View in town and great location. Could not ask for better people in the office, helping with reservations, discounts, etc. Have been here before and will definitely be back again. I would recommend checking out several rooms though. Some are actually in a little bit of a need for an update. We are always pleased to read such wonderful comments as yours. It is our pleasure to have you vacation with us and we look forward to your return. Many of our condo owners are in the process of updating their condos. Watch our website for the updated pictures. Very relaxing. Really enjoyed the balcony view. Excellent! We are so happy you all spent time with us and we hope you all can come back and see us again soon! Overall the stay was very good. The unit (251) was perfect and the staff was very helpful. However we were disappointed, nope make that very disappointed, that the lazy river was shut down two days before when we were told it would close. No reason was given and we were not the only guests who were disappointed. The weather was in the 80s and there was no maintenance folks working on it. When guests are given info on use of facilities within the staffs control one would expect it to be accurate. Not a good move on whoever made the decision!!! Excellent! We are happy you all enjoyed your time with us! We typically close our outdoor pools at all properties right after Labor Day. We kept them open two weeks longer than normal this year due to the warmer weather and I am sorry the Lazy River was closed during your stay. The indoor pool at Whispering Pines is open all year round! Hope you will come back and see us again next year! Thank you for staying! Loved the place it is very well decorated and convenient and has a wonderful view of the city! Thank you for staying with us. We appreciate your comments and perfect review; hope you will visit us again. We stay at Whispering Pines at least once a year, if not more. We stayed in unit 251 this time, and have absolutely no complaints! It was clean, cute, and had the best view of the nightly fireworks at Dollywood. We would most definitely stay again! Thank you for your patronage, perfect review, and great comments. We look forward to your return. Thank you so much for staying with us! We appreciate you! Please let us know anytime you have any issues at all during your stay so we can address them immediately! Come back soon! "Wonderful as always." We appreciate these words from our repeat guests and are glad that you had a restful getaway. We look forward to your return. We have stayed at Whispering Pines multiple times in the past. We love it. The staff makes you feel at home, and all the rooms we have stayed in has been great. Awesome! Thank you for the kind words and we are happy you enjoyed your time with us! Come back anytime! My wife and I love WP and really like the comfort, décor, and view from 251. The city side view is great, yet noisier than the mountain view side. But this was the unit we wanted and really hope to use it again. We have stayed at WP many times and have enjoyed all 1,2,3,&4 BR units. Thank you so much for all your kind words! We are happy you enjoyed your stay with us and 251 is a great unit with great views! We hope you will be able to come back and visit with us again soon! Nice place good view and really cosey . Awesome! Hope we see you again soon! The room was outstanding. The view was awesome. The experience with staff from the first call to book the room through check out was excellent! We only stayed here a few days before joining friends in Gatlinburg to stay at another place for a few more days. I really wish we had spent our entire stay with Whispering Pines. I have stayed many times at this place over the years and it has always been a top rated stay!!!!!! Thank you so much for all your kind words! We appreciate you staying with us and we hope you can come see us again soon! The best place to stay in the Smokey Mountains! Wow! Thank you so much for your great review. We appreciate you and look forward to your next visit with us. Great! Glad you enjoyed your time! Come back soon! Thank you so much and we are very pleased you enjoyed your time with us, come back anytime! Our Vacation Rental Experience was great. The ladies working front desk were wonderful. Very considerate and informative about the questions we had about activities going on. So glad you enjoyed your time with us, we hope you see you all soon! Best condo in Pigeon Forge! We have stayed on WP251 for 3 years. This condo is kept very nice. It is roomy, comfortable, and has a big balcony with a great view. You can see the parkway both directions and has a table, 4 chairs, and 2 rocking chairs. We chose this condo because of the view because we love to cook breakfast and eat on the balcony. You will not go wrong with this one!!! Thank you so much for staying with us at Whispering Pines. We appreciate you being a long time repeat guest. The owners of 251 will be so excited to know how much you enjoy their condo and the balcony with a beautiful view. Thank you for your wonderful review and we look forward to seeing you again soon! Very enjoyable. We will be back for sure. Great View from unit 251! It is a little slice of heaven and a great getaway! Glad you enjoyed it! Last year, we spent 3 nights in WP252 and fell in love. Thus year, I was my son and I and we were equally amazed at WP251. Leads me to believe, ALL the units at Whispering Pines are ALL EQUALLY AMAZING. If anyone is looking for a double view, get WP251! On one side you see the city. On the other side, you see the beautiful mountains. Thank you for your amazing review for condo 251. We appreciate you being a repeat guest with us. We have a high percentage of returning guests that stay with us.. People will love your tip regarding 251 having a mountain and city view. Thank you for your great feedback and we look forward to seeing you again soon. The RPM didn't steer me wrong when saying what a great view this unit had. Will definitely stay in this unit again. Thank you! Its one of the best views we think! So glad you enjoyed it! Come back soon! The great things about staying at Whispering Pines Condominiums!! This condo was awesome!! It was decorated so nice and the porch had 2 rockers that just couldn't stay out of either reading, praying, or just admiring the awesome view of the beautiful Smoky Mountains. It was a very comfortable sofa and recliner. Would definitely pick this particular one again. Also it is on the end of a floor.... last room at end of this 5th floor we were on. Again it was very enjoyable! Forgot to mention what a great location the condo is!! WOW! THANK YOU! WP 251 is a favorite, for it's view and location. We hope you enjoyed the pool amenities as well and the lazy river. We also hope you got to use our free ticket package to are shows! Thank you and we appreciate you!! See you next trip! Glad your visit was great. Come back soon for another great time in Pigeon Forge, TN. Hope you enjoyed the Dollywood fireworks that you can see from your balcony. Vacation was nice, had a great time enjoyed the stay. Would recommend to a friend. We love our little home away from home and Pigeon Forge is a wonderful getaway, so much to do and see! Come back and stay with us anytime! Thank you so much for staying with us at Whispering Pines. We appreciate your wonderful review. We are so happy to know that you have had many great experiences while staying with us. Thank you for your review and we look forward to seeing you next year if not before. Had a wonderful stay in this condo. Can't beat the view - hope we can stay again in the future! We hope that you can stay with us again, also. 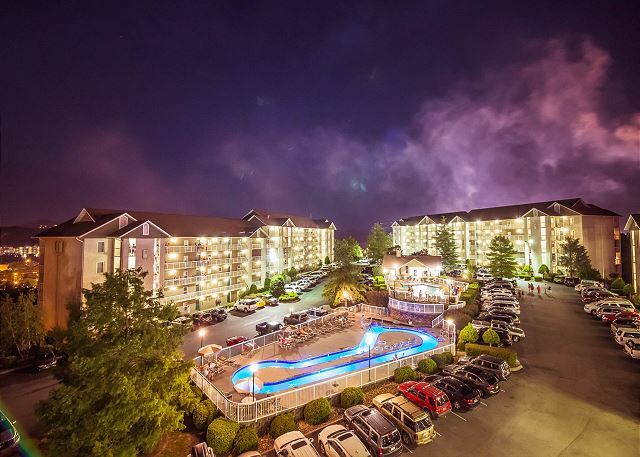 Glad you had a wonderful stay in unit 251 at Whispering Pines Condos in Pigeon Forge, TN. Thank you for the great review. You know what they say...Happy Wife, Happy Life! :) Thank you for staying and for the great feedback! Hope you are able to return again soon. The condo was just what we were looking for. Great view from the balcony, well equipped kitchen and very nice accommodations. Second time we have stayed in Whispering Pines - very friendly staff and very clean, neat facilities. Would definitely stay here again. Thank you so much and we are happy to here you enjoyed your stay with us during a very special time of the year......come back soon! We are glad that you loved your stay in unit 251 at Whispering Pines Condos in Pigeon Forge, TN. See you next year! Had another GREAT visit to Whispering Pines!! As always, the unit was great...we always have a great time. The staff was wonderful and had everything ready when we arrived. We appreciate your patronage and your praises for our property and our staff. We are glad that you had a great time and will return ASAP to Whispering Pines Condos in Pigeon Forge, TN. The unit we rented this time was just perfect for the 2 of us. Everyone at Whispering Pines is always friendly and helpful. Thank you for making our stay so pleasant. Thank you for your great review of unit 251 at Whispering Pines Condos in Pigeon Forge, TN. It is our pleasure to make your visit with us as nice as possible. Looking forward to your return visits. We are glad that you had a GREAT time vacationing in Pigeon Forge, TN. in condo unit 251 at Whispering Pines Condos. Come, again. Thank you for staying with us at Whispering Pines. We are glad to hear that you found the condo to be clean, beautifully decorated and peaceful. We look forward to seeing you again soon. Rental was very clean but the bed was hard as a rock and we were so tired from no sleep due to the terrible bed. Thank you for staying with us at Whispering Pines. We are sorry to hear that the bed was not comfortable for you. We have many different condos with varying firmness, each owner selects the mattresses for their condo. Please always let us know if you have an issue during your stay and we will be happy to assist you in a prompt manner. We sincerely hope that you will visit us again. We stayed in unit 251 the last week of September and had a wonderful, relaxing time. The unit was well maintained, clean, and comfortable. The view from the balcony was awesome. We had stayed at Whispering Pines last year and really enjoyed our stay, but the view wasn't all that great. My husband loves to sit on the balcony so he loved #251. The only downside I could see was the pool and the lazy river were closed, however the indoor pool was open. That was not a factor for us but I can see if you had kids that would be disappointing, that would be the only reason I cannot give a 5 rating on all questions. Our stay was wonderful and we will be back, hopefully in this same unit. Thank you for your review. We are glad that you enjoyed the indoor pool; Mother Nature determines how long we are able to keep the Lazy River and outdoor pool open. Many guests from this unit have commented how much they enjoy the view from the balcony, also. Very clean, love the view of the city. Thank you for staying with us at Whispering Pines. We are pleased to know that you enjoyed your stay and the amazing city view. We look forward to seeing again soon. Thank you for your feedback! We are pleased to hear you enjoyed your experience and the location of Whispering Pines! We look forward to your next visit. We recently stayed in unit 251. The location of the unit was very quiet and the view from the balcony was awesome. Everything was great except the carpet in this unit needs replaced as it has several stains and the entire condo needs painted to cover the scuff marks on the walls. All in all we had a great time. Thank you for staying with us at Whispering Pines Resort. We appreciate your review and are very happy to hear that you had a great experience while visiting with us. We will be contact the condo owner regarding the carpet and scuffs on the wall . We look forward to your next visit with us. We are so pleased to hear you enjoyed your stay in condo 251 at Whispering Pines! We will be sure to pass along these suggestions to the home owner. We appreciate your patronage and look forward to your next visit. We are lucky to have a great housekeeping staff! I will pass along your kind words to them. Thank you for staying with us at Whispering Pines! Fantastic! Thanks for staying with us! Glad to hear you enjoyed your stay! Thank you for the review! Love staying at these condos. 251 is our favorite condo since the balcony overlooks the parkway (for parade watching) and patriot park. Will definitely stay here again. Thank you for staying with us! We are pleased to hear you continue to enjoy your stay at Whispering Pines! We appreciate your patronage and look forward to your next visit. Very nice unit. Loved the view. Very clean and comfortable. Lots to do at Whispering Pines. Good location easy access to both Pigeon Forge and Gatlinburg. Wow! Clean, comfortable, convenient location:; what more does a vacationer need? Maybe more time to enjoy all that the Pigeon Forge area has to offer. Thank you for staying at Whispering Pines unit 251. David, Glad you had a relaxing/restful vacation at Whisperingpines Condos, unit 251. Hope you will make plans to come back and stay with us soon! Really had a good view from that unit, didn't you? We have stayed at whispering pines several times before,as always we left refreshed and safisfied. Thank you for being a loyal guest at Whispering Pines. We appreciate your business and are so happy to hear that you enjoyed your recent visit with us. We look forward to seeing you again very soon. We enjoyed everything. The view from the balcony is wonderful and the condo was very well equipped. The condo was clean and very comfortable. We had a very relaxing time. Happy to hear you had a relaxing getaway! We hope to see you again soon! We had s very enjoyable stay. The condo was well appointed and we liked the location. The view was good and the staff was very helpful and pleasant. We will want to come back to this property. Thank you for your feedback! We are happy to hear that you enjoyed your stay at Whispering Pines. We strive to provide a 'home away from home' experience for all of our guests. We appreciate your business and look forward to your next visit. 55 year anniv get away. Thank you for staying with us and letting us know about your stay with us in condo 251, we are glad you enjoyed it. We hope to see you again soon! Your staff members were very friendly and answered all of our questions. Very professional. Thank you so much for staying with us. We are so happy to hear that you had a great stay and that the staff was friendly and helpful. We hope to see you again for your next getaway. we wouldn't stay any other place. We are so glad you enjoyed your stay and that you continue to stay with us! We appreciate your business and we look forward to seeing you next time! Everything about our stay was perfect. We would definitely come back and stay again. Thank you so much for staying with us at Whispering Pines Resort. We are so happy to hear that you had a great stay with us. We look forward to seeing you again soon!